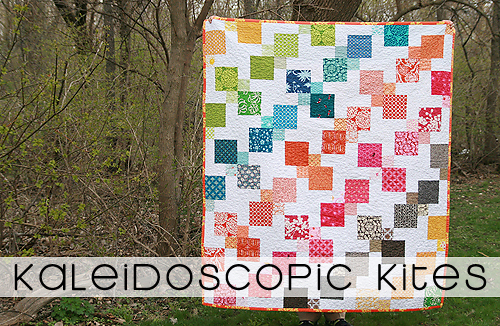 I am very excited to share my latest pattern with you, Kaleidoscopic Kites! This pattern is great for everyone, but especially for beginners. Each block has only 4 pieces and if you are familiar with chain piecing, you will make quick work of assembling these blocks. The final quilt will measure around 63" x 72". Let's get started! 1. Cut fabric. Below are fabric requirements, piece sizes and number of cuts. 2. 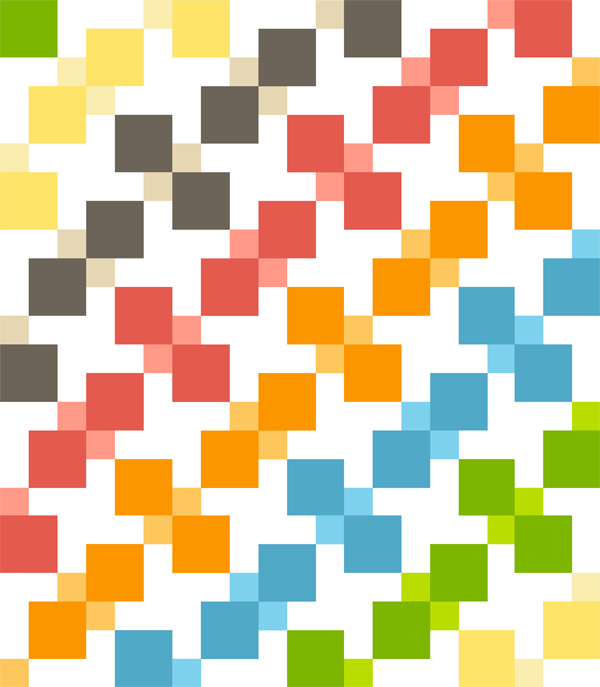 There are 18 different block layouts. Follow the below diagrams and sew squares together using a 1/4″ seam allowance. This should leave you with a 9.5″ square. Tip: I find it helpful to make piles for all 18 block types, and then sew them together in sets. Be sure to keep track of your block letters (A thru S) as you will need to know that for the quilt top assembly in Step 3. 3. Once your blocks are assembled, use the following diagram to lay out your quilt top. Assemble the top. 4. Create your backing, baste, quilt and bind! Enjoy your Kaleidoscopic Kites Quilt! Pattern is for personal use only. Please do not copy the pattern, resell pattern or post copied text and/or sizes on your blog. Feel free to link as much as you want though! Thanks for understanding!